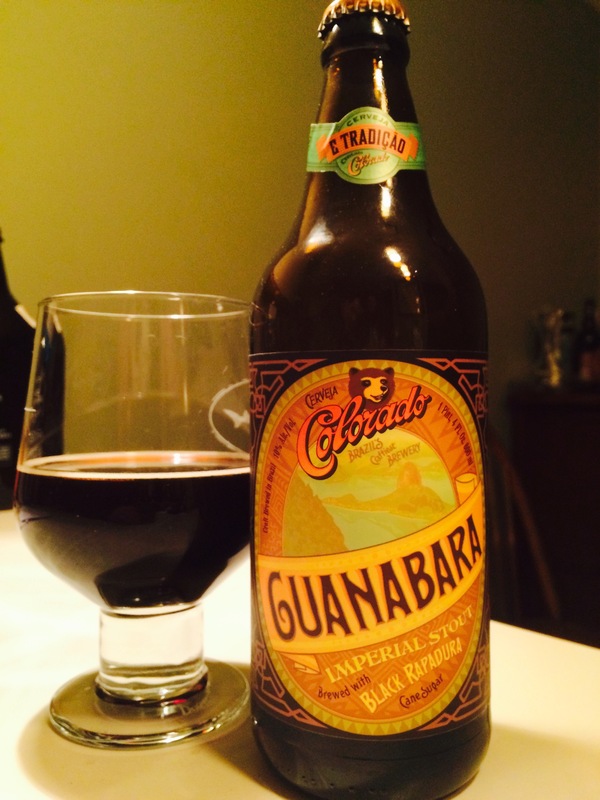 As the bottle story tells us, Cerveja Colorado is Brazil’s ‘craftiest brewery’ and this imperial stout is brewed with Black Rapadura Cane Sugar. Upon the first sip, your tongue is coated with smooth, sweet maltiness. This fizzes out and then the flavor adventure begins. The first notes are dark cherry and then dark, dark chocolate rounds out the silky finish. At 10% abv, this one is a heavy hitter. Thanks again to our friends at Atlantic City Bottle Company for carrying unique brews and introducing us to this delicious offering from Brazil!